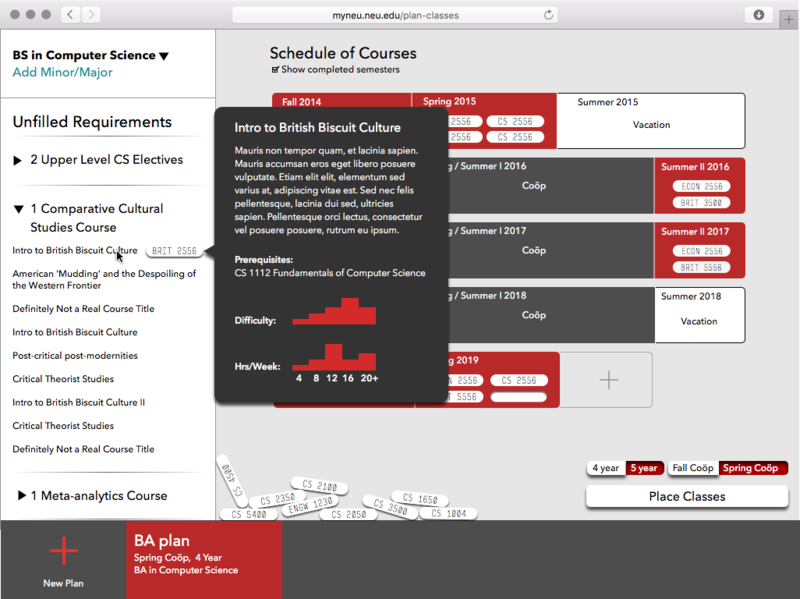 Semeister is a tool designed to make a student's remaining time in classes legible and help them plan coherently. Most college students change majors at least once. However, after a few semesters, it can be intimidating to understand how a change will affect graduation dates. 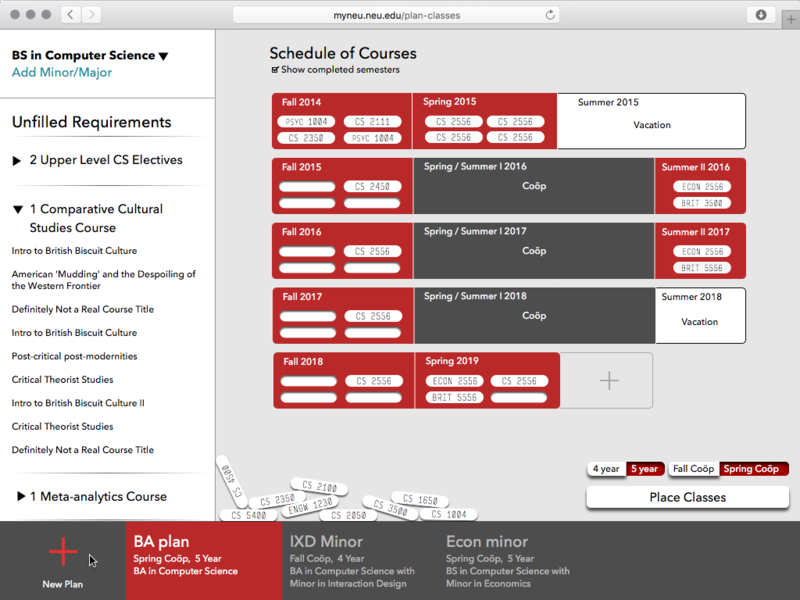 Seriously considering a new major can take days, largely because of the many different systems involved. As a result, many students delay changes, resulting in additional debt, delayed graduation, and possibly even dropping out. Semeister's main screen features a calendar of courses to take, a list of unfilled requirements, and a pile of courses that fulfill requirements and haven't been placed. While subjecting the classes to gravity is unconventional, it solves a few problems. In earlier revisions, users struggled to see them as draggable. Further, it lets users exploit their spatial memory to remember their thoughts about different classes. Hovering over a course that fulfills a requirement shows details about it. In many systems, course descriptions, reviews, and degree requirements aren't linked, and require manually referencing multiple unrelated systems. Though it may seem like an obvious tool, most colleges have no centralized hierarchy of majors and their requirements— instead, they're siloed by department. 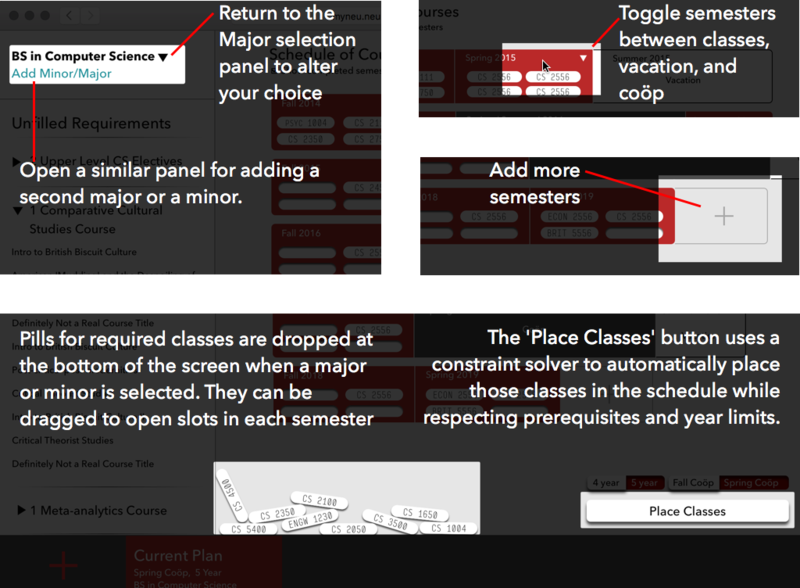 The tabs at the bottom of the screen accumulate different sets of options and schedules. 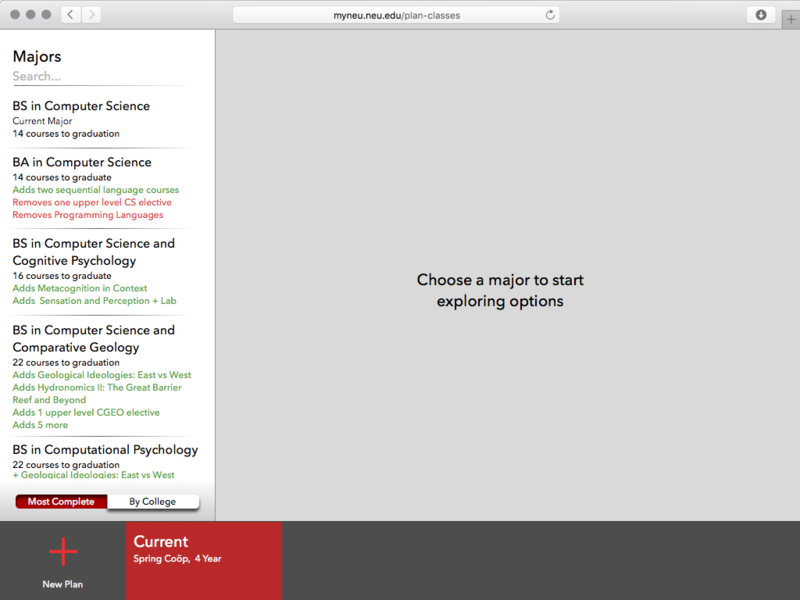 Pressing "New Plan" duplicates the current plan into a new tab, which lets users nondestructively explore new options and compare them quickly.